Organised by Human Resources, Training & Development Asia 2017, Singapore was back for its fourth year in on 17 and 18 August 2017. Held at the Shangri-La Hotel, Singapore; this year’s conference was attended by more than 160 with speakers from Tesla, NTUC, Siemens, and more unveiling the secrets to developing best practice corporate learning strategies. Kickstarting the conference was Richard Wentworth-Ping, owner and CEO of Wentworth People, with his opening speech as he welcomed all delegates, sponsors and speakers. 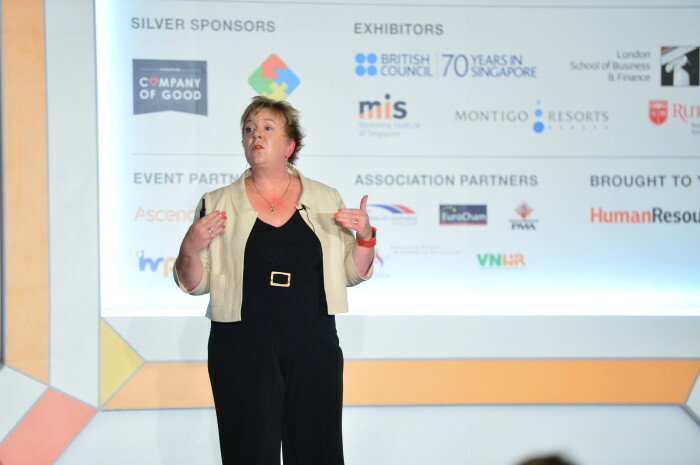 Introducing the first speaker, Beth Davies, director, learning and development, Tesla took the stage with her presentation on embracing the modern learner, which she explained is not just the millennials. Sharing a more local perspective on L&D, the next speaker was a well-known face in Singapore’s labour circles – Patrick Tay, assistant secretary-general, of NTUC. 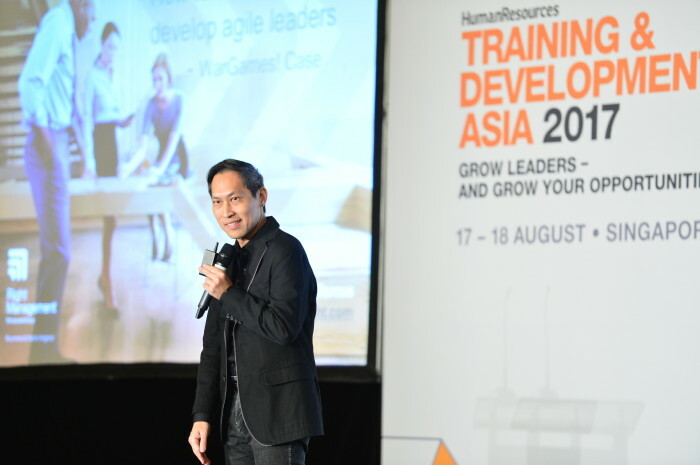 In his keynote on the outlook of future jobs, skills and training in Singapore, he reminded HR leaders to be “ready, relevant, resilient” and packed with “agility, ability, adaptability” when it comes to staying ahead of the learning curve. Before delegates headed for a quick coffee break, they were engaged in a panel discussion on creating a high impact learning and development culture. Welcoming back Wentworth-Ping as the moderator; the panellists included David Jackson, APAC regional head of talent development, corporate and investment bank, Deutsche Bank; Tim Raw, head of client services, Impact; Karina Cuello, learning and development director, APAC, JLL; and Michael Haberzettl, head of human resources, ASEAN, Siemens. In this discussion, Cuello questioned delegates on how they can add value to their workforce. She shared: “It lies in being more agile. 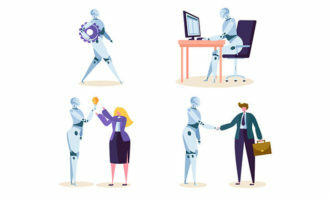 (We need) to try and find tools that will engage with our employees in a relevant fashion,” as she addressed the changing needs of the modern learner. After the quick break, delegates were welcomed back with a stirring panel discussion on creating an environment of high performance to lay the foundation for company success. Moderated by Makarand Tare, chief talent officer, Asia Pacific, McCann Worldgroup; the panellists included Theresa Goh, managing director of 360 dynamics and board member, NVPC, National Volunteer & Philanthropy Centre; Dylan Choong, regional human resources director, Southeast Asia, Sephora; Brandon Lew, vice-president, human resources, T-Systems Singapore; and NC Prakash, regional human resources head (Asia Pacific, Middle East, Africa), Rohde & Schwarz. Taking the stage next was Ida Huang, head of BASF learning campus, Asia Pacific with her case study on aligning the goals of your programme in line with your employees’ job progression, at BASF now steps on stage. Delegates then took a quick break before jumping right back into a session on best practices for connecting learning and performance for accelerated development with Marieke van Raaij, Director, Solution Consulting APAC, KNOLSKAPE. 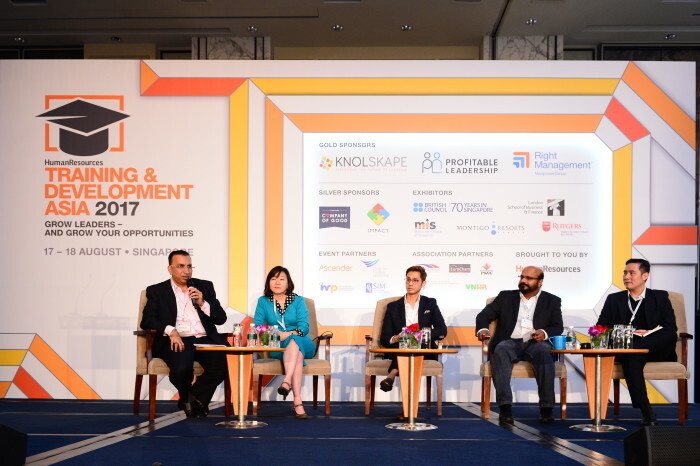 As day one of Training & Development Asia 2017, Singapore comes to an end, delegates participated in a round table discussion where they were engaged in a 40-minute discussion followed by a summarisation by one representative from each table. The first day’s session will hear some of the best practices for bridging training initiatives and bottom-line benefits. As delegates returned for day two of Training & Development Asia 2017, Singapore at Shangri-La, Hotel Singapore; the first presentation was by Eric Yim, global head of learning, Shell business operations. On that day, he shared a case study on integrating change management and leadership development for front line leaders. “At Shell, employees take accountability for their own learning; and we are very supportive of pro-active learning,” he added. The next speaker leads leadership and business skills, learning analytics and coaching globally. 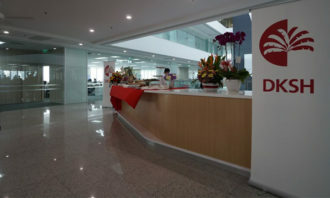 In addition, her team also provides consultation for geographical and category talent teams for customised solutions. Betty Lau, global learning director, leadership and business skills, Unilever shared her expert opinion on using design thinking to drive learning transformation. 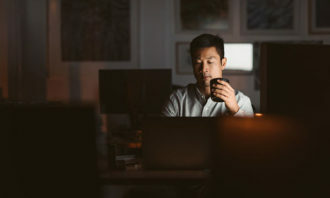 From the feedback her employees shared, she revealed that top three pain points of staff were long conference calls, no clear execution, and no clear decision-maker during these calls. 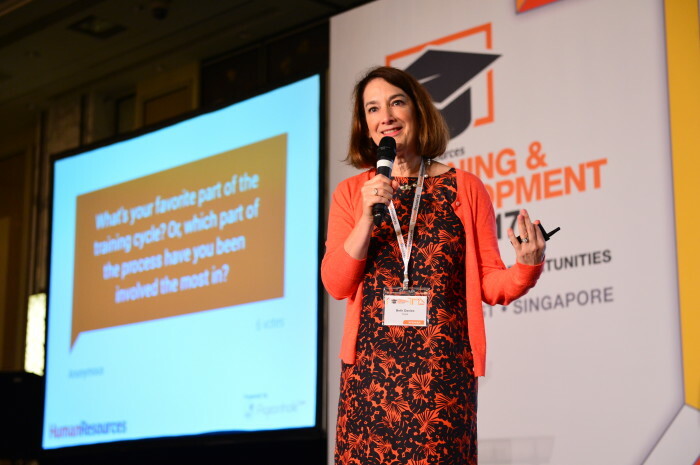 Following that, the next speaker was someone who took over as head of learning and development at OCBC Bank in 2015, to oversee the strategic partnership to businesses and the development of high-impact learning interventions to drive people performance. After a hearty lunch break, delegates participated in a round-table discussion on developing the workforce without a learning and developing budget. Following that was a panel discussion on one of the hottest topics – women in leadership. Joining the moderator Beth Davies, director, learning and development, Tesla; are panellists – Indrajati Nugroho, director, human resources, South Asia, Abbvie; Susan Cheong, managing director and head of POSB, DBS Bank; Aye Wee Yap, SVP, head of learning and development, OCBC Bank; and Grace Wong, vice-president and head of human resources, SEA and Oceania, Samsung. On the same note, Wee recounted her experience of having to previously report to a gentleman in management. She shared: “He said to me: I have two daughters, and when they get into the working world – I want them to have the opportunities that I am giving you” – showing that opportunities do happen in business for women. 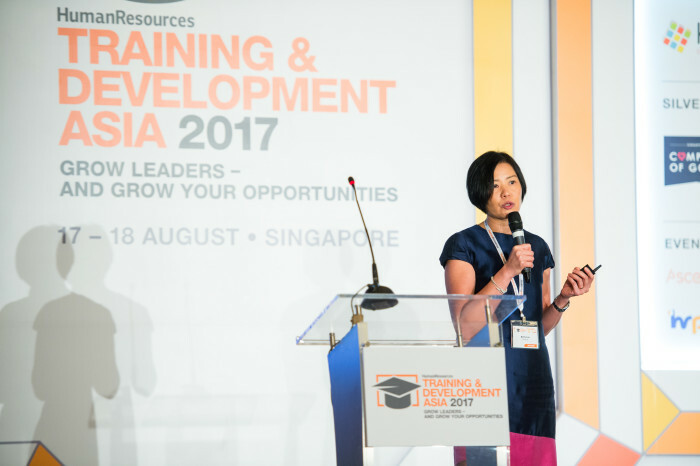 Next up in the series, Koh Joo Khim, director, Office of Human Resources, Nanyang Technological University spoke about the leading university’s learning & development initiative, which had helped them secure an award at the prestigious HR Excellence awards. With that, we ended Training & Development Asia 2017, Singapore with special thanks to all our speakers, delegates and sponsors.